The UK Elite Skills Session is canceled for this Tuesday and Wednesday, April 23rd & 24th due to poor field conditions caused by the recent heavy rain. Look forward to seeing you all back next week! If there are any questions please reach out to Tom Petersen ([email protected]) and Hermes Lima ([email protected]). These sessions run from 4/9 to 6/11. 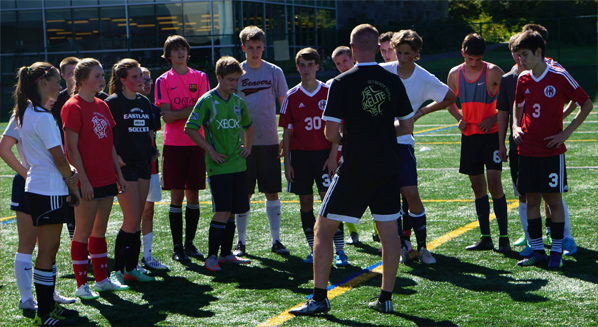 The training is individual development/academy style so the kids won’t be broken into teams and coaches aren’t required to be present. This is another opportunity for the kids to get touches on the ball but attendance is voluntary. Coaches of your specific teams will determine if/when you will have team practice which would be in addition to this. Any questions, please reach out to Tom Petersen ([email protected]) and Hermes Lima ([email protected]). The Spring 2019 season brings a handful of changes that players and families should be aware of. Please review the information on this page and contact us if you have any questions. K-2 1st Grade Girls will play at Milton Healthcare. They are the only K-2 program at MHC. This change has been made to mitigate parking lot congestion at Houghton's Pond and with consideration to sunset in the early weeks of the season. Uniforms will be delivered to coaches ahead of opening day. Slight changes to switch over times between the K-2 programs to mitigate parking congestion at all locations. All programs will have Memorial Day Weekend off. 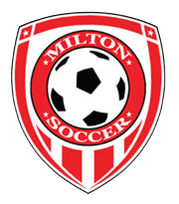 Travel Soccerpalooza 2019 will be held on Saturday, March 30th at Brooks Field (Milton High School) from 10am to 7pm (exact schedule and possible special guests TBD). This is a fun way for Travel Soccer teams to get together and prepare for the spring season. All Milton Travel teams will be scrimmaging. Players should wear their uniforms, cleats and shin guards. If it is cold players can wear hats and gloves if they want. Sweatpants and sweatshirts must be worn under shorts and jerseys. We look forward to seeing everyone at this fun event to kick off to the spring season!" Further details and sign-up here. Parents/Players are responsible for supplying their own cleats and shin guards for all of our leagues. Pre-K, K-2 and Champions League uniforms are included in the cost of registration and are sent to coaches ahead of season kick off. Travel players must order shirt, shorts, and socks. Order Here. These uniforms can be used for multiple seasons. Depending on when they are ordered, these will either be delivered to the coach or to the family. Player evaluations will be held on June 9th and 16th for 3rd through 8th grades for placement on appropriate teams. Specific times will be released once the season is underway. The evaluations are run by UK Elite and mandatory for Fall placement.